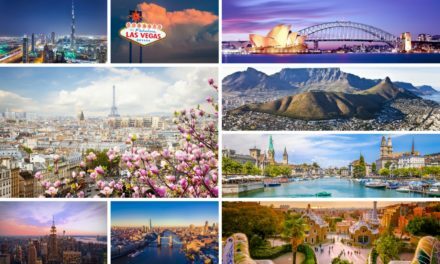 Breathtaking sceneries that include mountains, lakes, waterfalls, and more, as well as beautiful cities and villages. 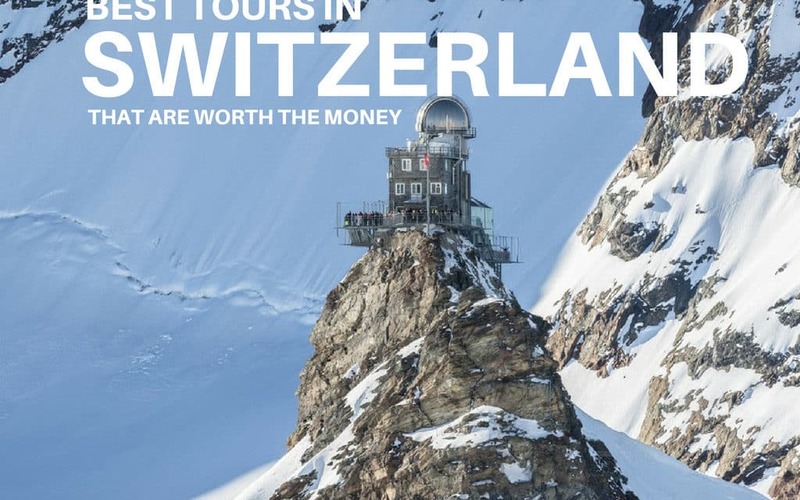 If you feel overwhelmed by all the tours that are offered and all the activities to do (and you do not have an endless amount of time to spend) in Switzerland, then you can read about the best tours in Switzerland in this post. If you are a new reader on my blog, I have good news for you. As I regularly visit Switzerland, I have a lot of content on this beautiful country with many insider knowledge and tips. 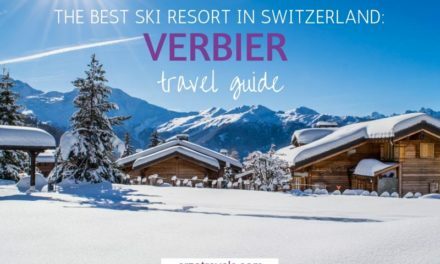 Find out where to stay in Switzerland, read my top tips on things to do in Switzerland, and here are my favorite places to visit. You can rent a car and visit the places independently – but if you use cable cars etc. you normally have to pay extra. If you use public transportation, I recommend using a Swiss Travel Pass (which means using unlimited public transportation, free access to museums and boat cruises) you also get a few cable car rides for free and to many others you get 25% or even 50% off). Here is the link for a 4-day Swiss Travel Pass and here is the link to a 8-day Swiss Travel Pass. But most of these tours are also guided tours which you can book. How could I not list a trip to the “Top of Europe” first? Visiting the highest train station in Europe is on the bucket list of many Switzerland visitors, and after visiting myself, I can clearly see why. Visit the Alpine Sensation (a corridor where a lot of information about the creation of the train station is displayed), the Ice Palace (with ice creatures), go onto the Sphinx Observation Deck, or enjoy some snow activities in the snow fun park (which are even available in summer, as there is always snow up there). Even the way up (which takes about two hours) is an event in itself. Several short stops allow you to get out of the train and enjoy fantastic views, like the one from Eismeer station (3,160 meters above sea level). If you have a Swiss Travel Pass, don’t pay the full price and pay less by using this link (only available to Swiss Travel Pass holders). 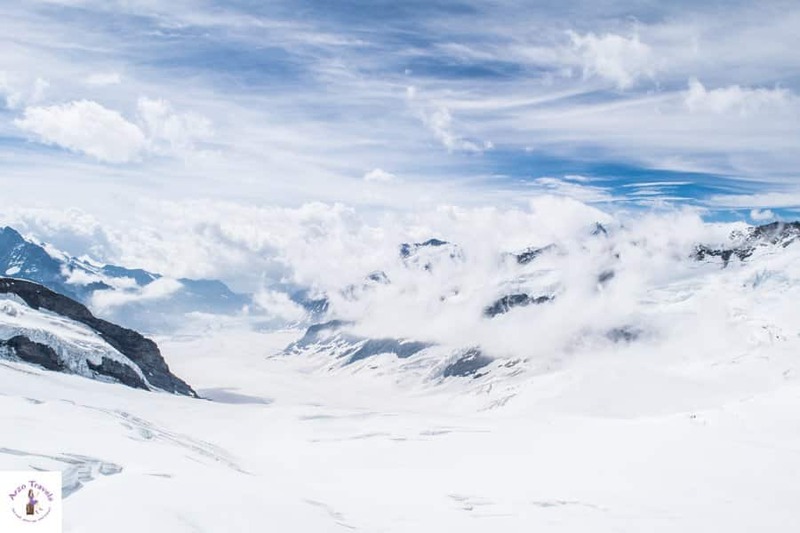 Find out more about a trip to Jungfraujoch. It is probably no surprise that the two first recommendations are mountain excursions (for those who are not interested in enjoying the views from above, some other tours are coming later in this post). The trip to Mount Pilatus is one of the most memorable excursions I have been on so far. 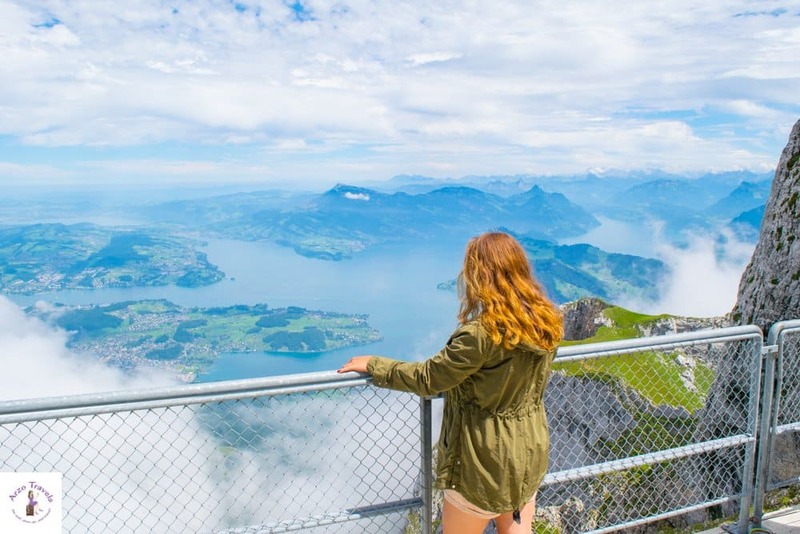 Located in the region of Lucerne, and set at the shores of beautiful Lake Lucerne (Vierwaldstättersee), a trip to the summit of Mount Pilatus can quickly become one of the highlights of your Switzerland vacation. 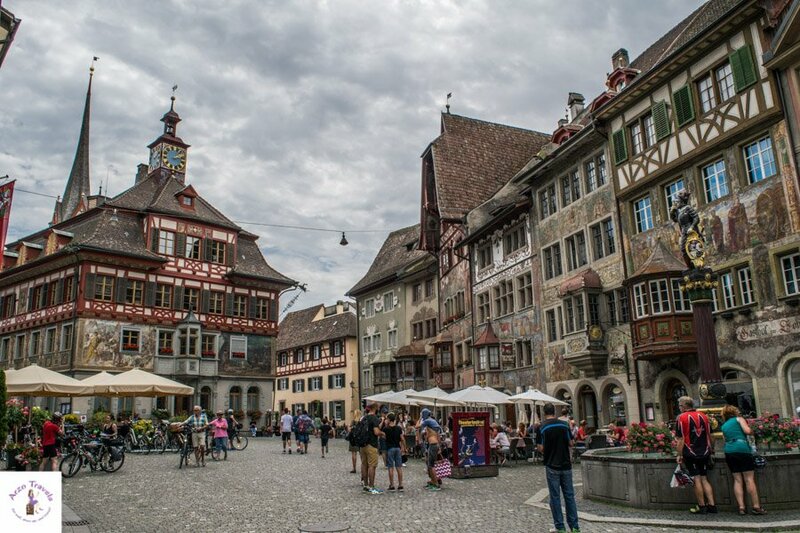 There are several tours available and it is easily reachable from destinations like Zurich, Interlaken, and Bern. While it takes a bit longer from towns like Montreux and Geneva, it is still possible to do a day trip from there. The most scenic way to arrive at Mount Pilatus is via boat. 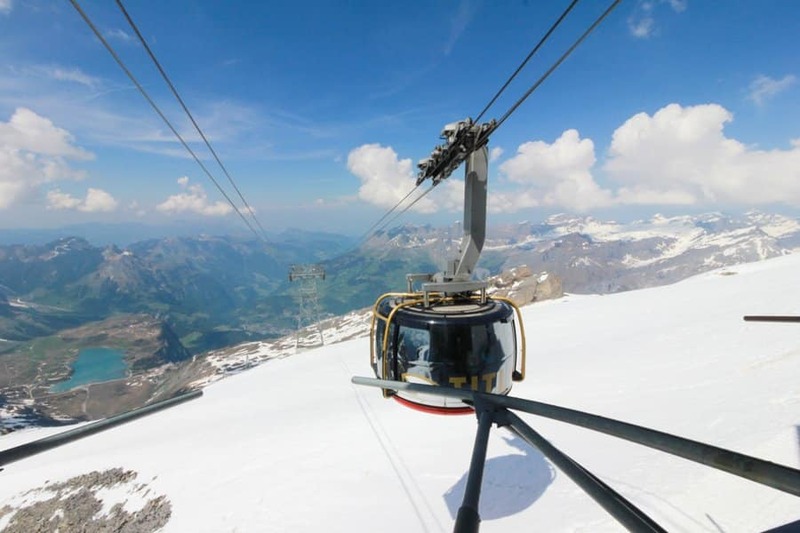 This tour (known as the Golden Tour) includes a boat ticket from Lucerne to Mount Pilatus (and a return) and you can get up via the cogwheel – quite an impressive way to get to the summit. There is so much to see and do up there that you will probably spend a few hours before heading down by cable car on the other side. What is the most beautiful town in Switzerland? I guess I would say Stein am Rhine. This extremely picturesque and gorgeous town close to the German border knows how to impress with the most interesting facades and buildings. 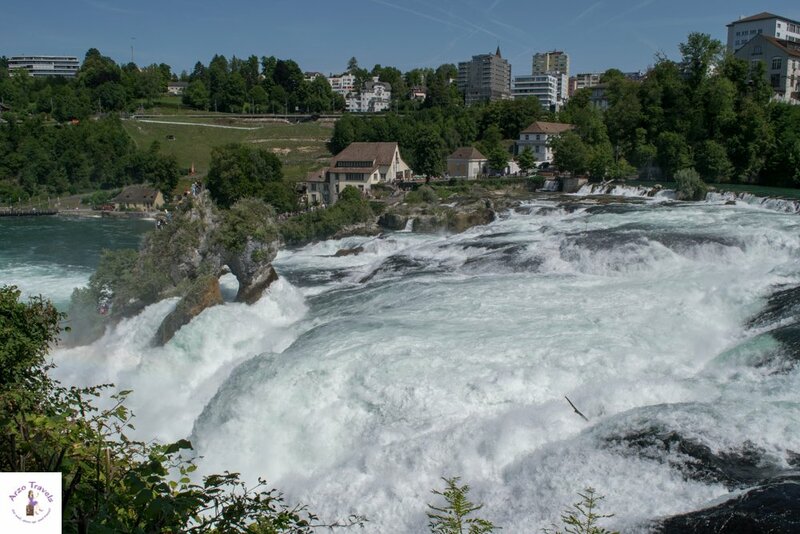 It is a very small town, so with a day tour, you also get to visit the Rhine Falls – the impressive nearby waterfalls. The Rhine Falls are the biggest waterfalls in Europe (yes, that is right, though it refers to the number of liters falling down each second) and a great place to visit at any time (even on a rainy day, as the waterfalls gets more powerful). The combination of these two places is great, as you see two different sides of Switzerland – a charming town and a spectacle of nature! Both places are easily accessible via train from Zurich or Lucerne. If you prefer guided tours click here. Lucerne has basically two impressive mountains that are perfect for a visit. While Mount Pilatus is so crowded, busy, and thus, makes a full day trip; Mount Rigi is a quieter and smaller mountain, and getting to the summit is a beautiful experience. 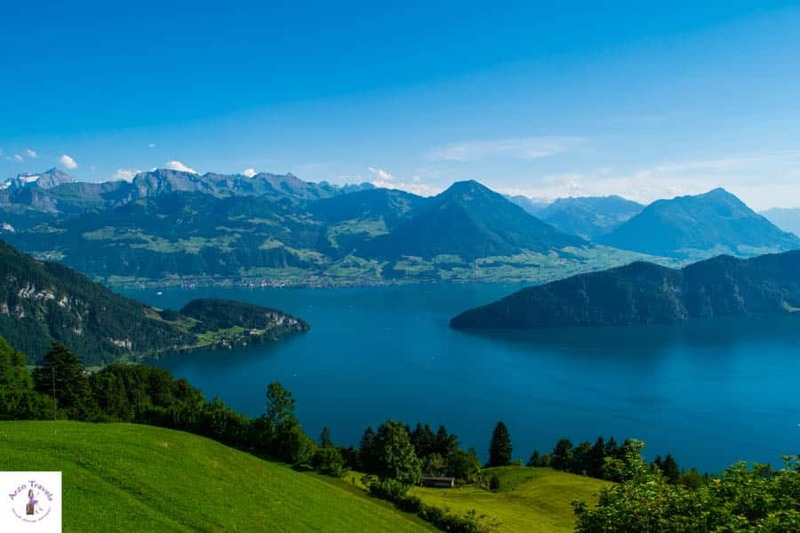 If you book a tour to Mount Rigi, you have the chance to enjoy stunning views of Lake Lucerne, the Alps, and the surroundings – surely something to remember! 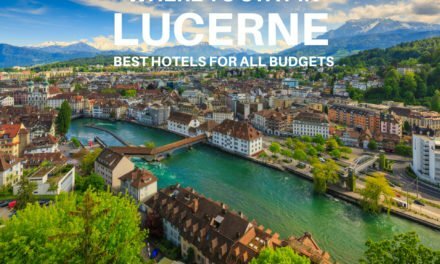 Personally, planning a few hours for this trip is enough, so the tour that includes a trip to the city center of Lucerne is perfect. Lucerne is a lovely city on the shores of Lake Lucerne, and if it is not your base (due to its central location, it would be though), I think that a few hours is enough to see the most interesting places (including the Chapel Bridge and a stroll through the old town). You can get up Mount Rigi for free with a Swiss Travel Card. If you don’t have any, then you can check out prices for tours here. Even though Annecy is not located in Switzerland, it is a perfect tour from Switzerland, especially if you are in or around Geneva. This French town near the Swiss border is one of the cutest and most picture-perfect you can ask for. It is a bit like Venice – maybe it would be an exaggeration to say it is even more charming (maybe not!). Colorful houses, a stunning lake (which is almost as nice as the Swiss lakes), and the canals make it a perfect excursion from Switzerland. 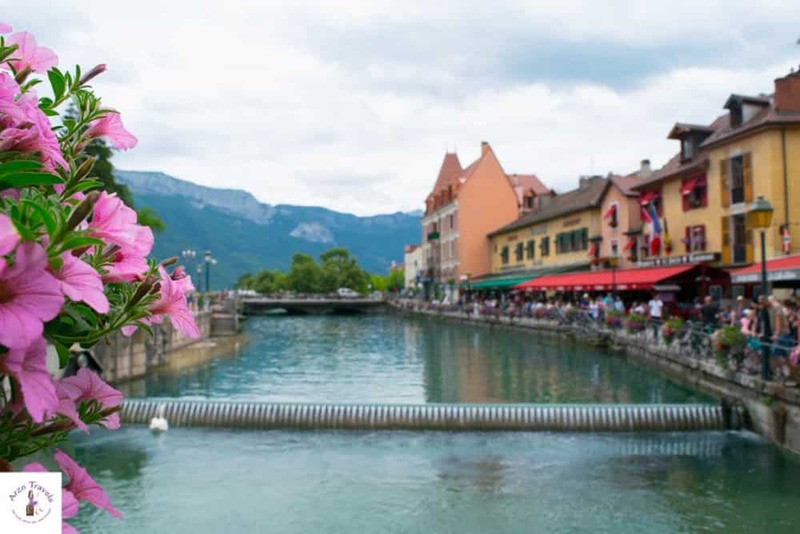 It takes less than an hour to get to Annecy from Geneva, and in Annecy, you will have a short city walk before you can explore this place on your own. Here are my travel tips for this cute town. Make sure to stroll the old town, walk to the lake, cross at least a dozen of the tiny brides, say hello to the swans, and snap pictures wherever you go – check out prices for guided tours from Geneva here. Bern is an extremely beautiful and lovely city. 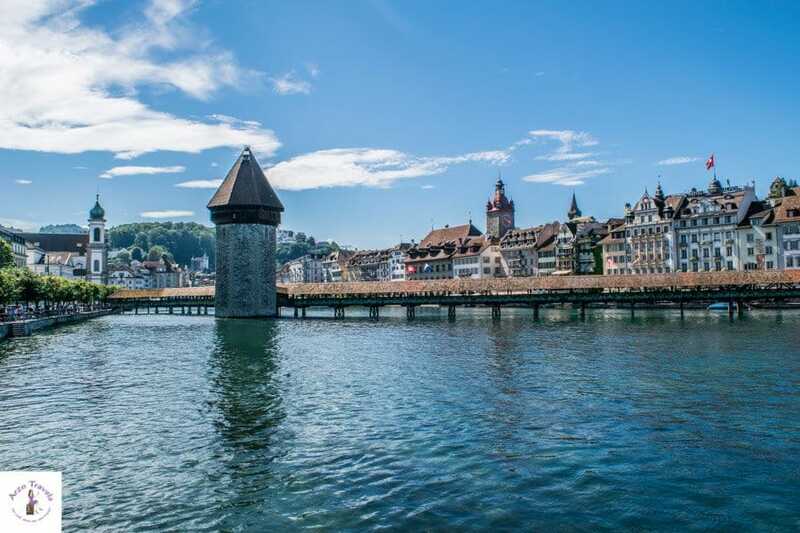 The capital of Switzerland should not be overlooked, and when you are in Lucerne or Zurich (or anywhere for that matter), I recommend a tour that will show you the beauty of the city in a nutshell. The city is known, among other things, as a UNESCO World Heritage Protected Old Town (the whole town is a UNESCO site! ), but also for the bears and the Aare River (the prettiest river in the world), which adds even more beauty to it. The tours available from Lucerne or Zurich will allow you to see the city (including the beautiful old town) and still have some free time to discover things on your own before heading off to taste cheese (well, I am not so into cheese, but I heard rumors that cheese in Switzerland is delicious). You can also easily get to Bern via train or car – connections are easy and fast. It is no secret that I am in love with the region of Interlaken. If you happen to stay in that area, you have made a fantastic decision; and if you don’t, no need to worry, as a day trip to Grindelwald and Interlaken will give you a good glimpse of the scenery. Grindelwald is a very charming little town that not only offers great views of the Swiss skyline (which include the mountains Eiger, Mönch, and Jungfrau), but you can also visit Mt. First during the trip or take a stroll through the town center. Afterwards, you can head to Interlaken. 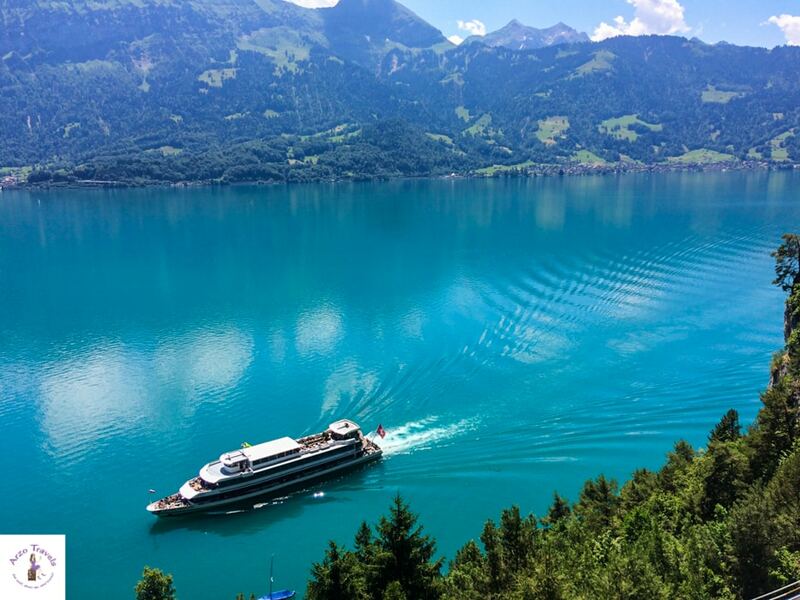 While it is known for being a shopper´s paradise, I recommend strolling Lake Brienz and Lake Thun (ideally, do a boat tour on Lake Brienz) or head to Harder Kulm, the house mountain of Interlaken. 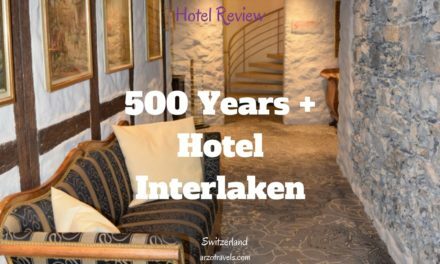 From there, you have great views of Interlaken and you will understand why it is known for being one of the most beautiful places in Switzerland (what am I saying, one of the most beautiful places in the world!). Okay, this tour is on my own list, but here is why I am crazy to visit Mount Titlis myself on my next trip. From Lucerne, you get to Engelberg, a lovely town from which the tour heads to the Mount Titlis summit (3,020 meters above sea level). Getting up by cable car must be an extremely awe-inspiring time. 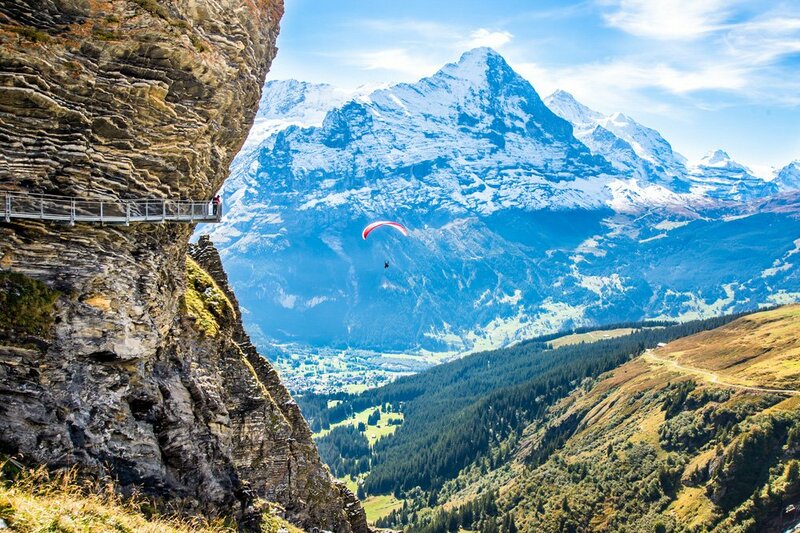 The views and the activities up there (visiting the Glacier Cave, hopping on the rotating gondola to enjoy panoramic views, enjoying even more dramatic views from the Ice Flyer chairlift, or going snow tubing) are reasons enough to add it to the Switzerland bucket list. 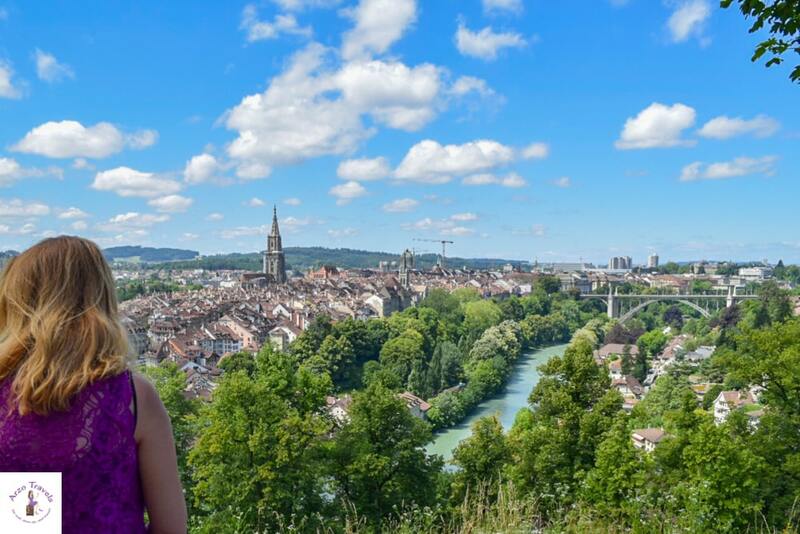 These are some of the best tours in Switzerland – I hope, the host has helped you to find the best tour that is perfect for you (and your travel companions).